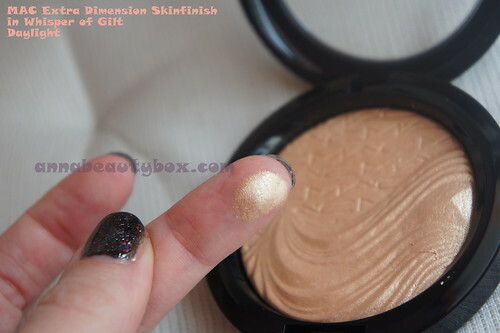 MAC Glamour Daze Whisper of Gilt Skinfinish. Review and photos. 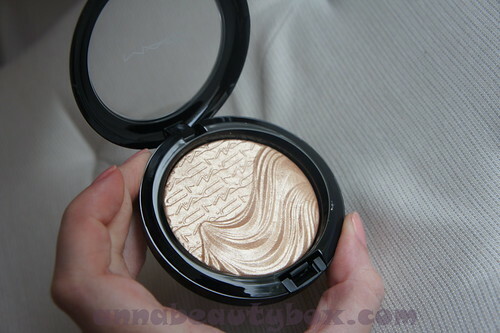 It is not the first time this highlighter was out in MAC collection. Unfortunately, I missed it the last time and decided not to repeat this mistake with Glamour Daze Holiday 2012 collection. Packaging and design: 9 out of 10. The packaging is boring as usual: simple black plastic, the top is transparent, no mirror. It comes along with a black box, that has a round opening inside of it. 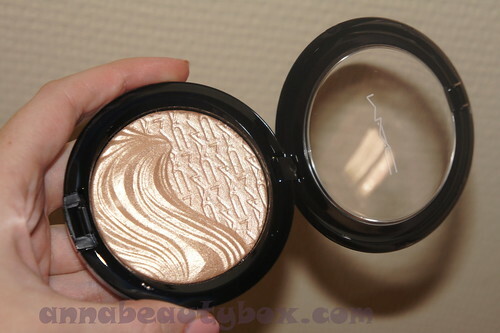 But the design of the highlighter itself is wonderful: it makes me think of the beach. Like you drew the MAC letters on the sand and half of it were washed away by the wave. Love it! This skinfinish has 9 grams of powder. Texture: 10 out 0f 10. Texture is very soft and silky. It is not creamy but almost, very pigmented. You should be careful when applying it on your face. I prefer using soft brushes. 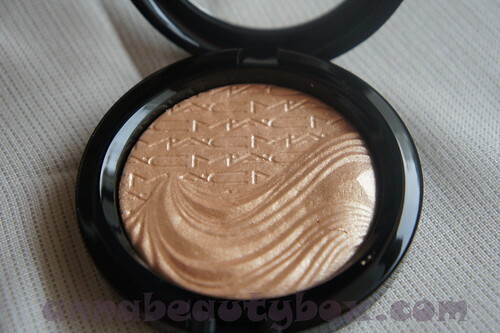 The color of this highlighter is pure gold. No copper in it, it is not burnt, neither is it old. Just pure gold. Gorgeous! I think it will come out best on tanned skin. The perfect product for the summer! But even now when I’m pale I’m in love. It is refreshing. 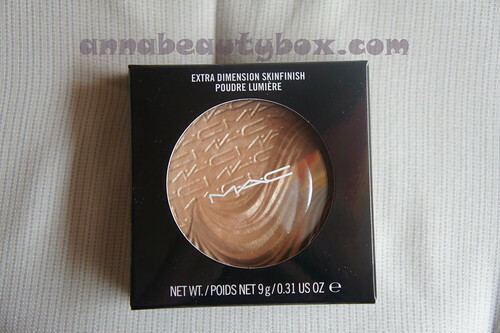 This powder has soft metallic finish. The color is warm. Yay I love it! I love gold, it’s been some time that I’ve been looking for a golden highlighter. Glad I’ve found one! I think it will last me a long time, the quality is perfect. It stays well on my face, you only need a tiny bit of the product. I like myself when I’m wearing it. I am not sure though it will look good on girls with cool undertone. It also has one disadvantage: I can only use it as a highlighter. When I tried to apply it over my blush to add more shine, it was OK. Until I saw the pictures: my pores looked huge! Especially on the photos with flash. So yes, Whisper of Gilt does highlight my pores. But all in all, I like it, I will just have to be careful with application. Overall mark: 8 out of 10.